There are plenty of benefits to having a sunroom all year round. The natural light has terrific health effects and helps to make your home more energy efficient. The versatility of sunrooms allows the homeowner to use them for whatever they’d like, from a coffee nook to a playroom to an indoor garden space. However, when we think of sunrooms, we usually think of them in spring and summer, the warmer months of the year. The truth is one of the best times of year to have a sunroom is winter. In winter, homeowners are likely to spend more time indoors and out of the cold. With a sunroom, they can still enjoy all the benefits of sunlight without the uncomfortable temperatures of winter. There are a limited number of plants that can withstand the extreme temperatures of winter, so it’s not the most convenient time of year for avid gardeners. However, with an indoor garden, you can control the temperature, no matter what time of year it might be. All your plants will need from the outdoors is plenty of sunlight, and your sunroom will certainly provide that. With a sunroom, you can enjoy your favorite plants even in January or February. An indoor garden will also help to give you a cheerful, warmer view to contrast the cold outside. You’ve probably heard people talk about “seasonal depression” or “seasonal affective disorder.” As many as 25% of people experience at least mild SAD. It occurs because of the significantly decreased exposure to naturally light. SAD may show itself as a lethargy and unwillingness to go out, even for things you would normally enjoy. You may be more prone to sadness or apathy in the winter months. Often, SAD is tied into bad sleeping habits, whether oversleeping or sleep deprivation. Exposure to natural light has a significant impact on mental health. It helps us to have more energy during the day and to sleep better at night. It’s been shown to make people overall more cheerful and optimistic. Having a sunroom ensures that no matter what the temperature might be outside, you won’t lose out on all of those health benefits of natural light. With the winter comes the holidays and the new year…and often throngs of friends and extended family. 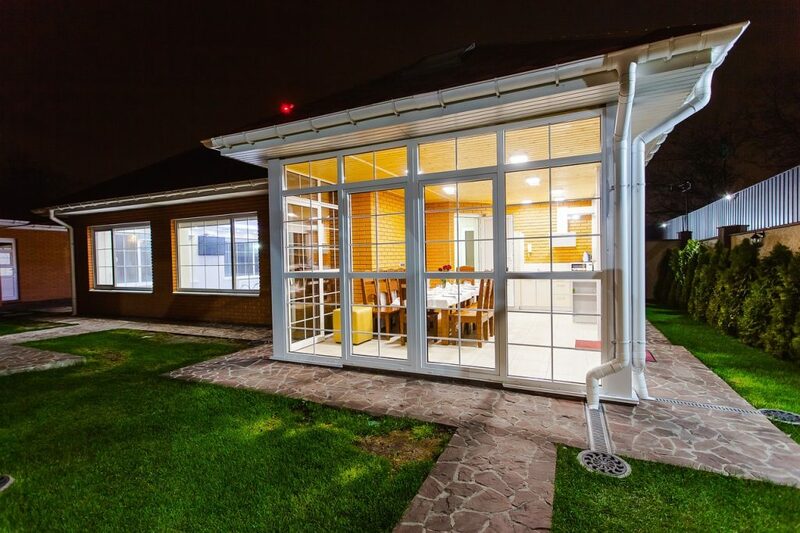 A sunroom provides your home with extra space. It can be a guest room for an in-law that plans to stay for a few nights. It can be a playroom for the family’s kids to enjoy. It can also be a studio or reading nook, a place to get away when you need a little time to yourself. You could even move a table into the sunroom and have the big holiday dinner there. The possibilities are endless. Any time of year is a good time of year to have a sunroom, but winter might be the best time to enjoy it. To have your own sunroom installed, contact Sunspace Texas today. We can guarantee that the installation team will arrive on time, finish the job efficiently and within budget, so you can get as much enjoyment out of your sunroom as possible this winter.